This blog is part of a research project conducted at the Univeristy of Oxford into the practice of Digital Diplomacy. The project aims to gain an understanding of how foreign ministries now use Digital Diplomacy and digital platforms in the conduct of diplomacy. Therefore, it examines a variety of topics ranging from an analysis of the content posted by foreign ministries on their digital channels (e.g., Twitter, Facebook) to the manner in which foreign policy messages are tailored to different audiences. This blog will be updated on a weekly basis offering visitors insight into the world of Digital Diplomacy by presenting relevant case studies, analyzing world events through the magnifying lens of digital diplomacy and publishing the results of numerous studies currently taking place at the Department of Communications. Ilan Manor is a PhD candidate at the University of Oxford. He attained a Bachelor’s and Master’s degree in Communications from Tel Aviv University. His thesis explored the manner in which nations portray adversaries on official digital diplomacy channels during times of crises (see CV here). In 2019, Manor’s book The Digitalization of Public Diplomacy was published by Palgrave Macmillan (see here). Manor’s research on Selfie Diplomacy, or the manner in which nations use social media in nation branding activities, appears in the recently published Digital Diplomacy: Theory and Practice (Routledge). In 2016, Manor published a monograph on digital diplomacy titled “Are we there yet? Have MFAs Realized the Potential of Digital Diplomacy?” The monograph includes an in-depth analysis of the digital activities of four foreign ministries: Israel, Poland, Finland and Norway. More recently, Manor has contributed digital diplomacy papers to the Hague Journal of Diplomacy, Global Affairs and the Cambridge Review of International Affairs. A recent paper, which re-examines America’s Selfie in the age of Donald Trump, was published in Place Branding and Public Diplomacy. More recently Manor has co-edited a special issue dedicated to the digitalization of public diplomacy (available in Spanish & English). Current research projects include a cross-national comparison of social media engagement among foreign ministries, a cross-national evaluation of digital diplomacy models adopted by European foreign ministries and an analysis of how digital diplomacy may be used as a tool for symbolic violence in diplomacy. 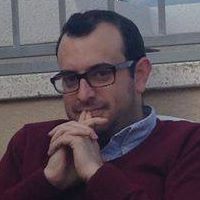 He is a contributor to the University of Southern California Center on Public Diplomacy Blog and the Jerusalem Post, Haaretz, Jewish Daily Forward and Times of Israel newspapers as well as the +972online magazine .